How many of these 11 home office must-haves do YOU have? Do you have a home office, or even just a space at home where you work? If so, how many of these 11 home office must-haves does it have? All most of us really need to work is a laptop – or so we’re led to believe. But while you can get buy with the bare minimum, if you want to work smartly and efficiently (and enjoy working) there are a few other things your home office needs. 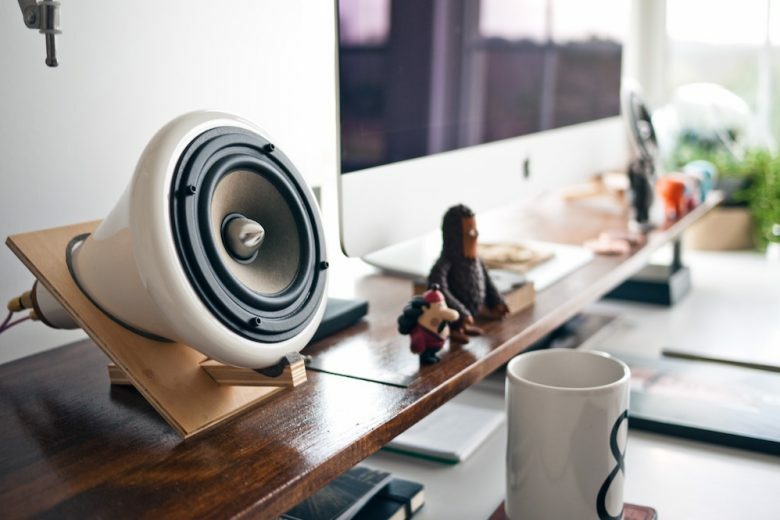 So, whether you’re self-employed, or you simply like to take your work home with you at night, we thought we’d share some of the items we think every home office needs. So here they are – 11 home office must-haves. Admittedly some of them (yes, it’s the pet) aren’t strictly essential, but are certainly worth considering if you don’t already have one. So, if your funds allow, invest in a new model – just make sure you research carefully first to ensure you’re getting the spec you need, and the best possible price. Can’t afford a brand new one? It could well be worth giving yours a thorough MOT with a local repairer. If you use a diary or paper system to manage your meetings and schedule, you may want a little upgrade. With voice assistants becoming all the rage, why not try the new Amazon Alexa or Amazon Echo? You can link the device with your smart phone, allowing you to schedule meetings and write checklists, without losing your concentration at work. Depending on the type of work you do, you may need a simple printer, or something a bit more advanced, especially if you’re printing art prints and photographs. You may also need a scanner if you need to scan important documents for your records. Love listening to music while you work? Why not create a playlist of all your favourite songs on Spotify? Having them all in one place avoids distraction when changing music, which means you can focus more on your work. More old-school? If you have a large vinyl collection in your home office, you can buy a multi player, which allows a collection of albums to be held at once and played one after another. A bit like having your own office jukebox. Having a Nespresso or De’Longhi machine in your office means you can drink as much coffee as you like without leaving the room. Not only does this free up more time to work (and let’s face it, if you’re drinking that much coffee, you’ll be working faster too! ), but it looks professional if you hold client meetings in your work space. As well as looking good, according to research, well-thought-out office art can inspire you and increase wellbeing and productivity. So consider this the perfect excuse to splurge on your favourite paintings and prints. It’s hard to focus on work when your desk is covered in paperwork, or you’re surrounded by messy piles of products and paper. So think carefully about your home office storage set up. Are there any improvements you can make? And don’t assume that just because it’s for an office that storage needs to be dull. Check out these seven clever and fun storage ideas. Just like art (although admittedly a little higher maintenance), an office pet can apparently reduce stress and increase efficiency. If you have a dog, you get bonus points for being compelled to take a much-needed break at lunch to take it for a walk. Of course acquiring a pet just for your home office may be a little extreme (unless it’s a goldfish), but it could be worth encouraging your existing pets, if you have them, to spend time in your office with you while you work. If nothing else, it will give you someone to moan to when you need! Are you sitting comfortably at work? Or are you making do with an old kitchen chair that you were going to throw out? It’s all too easy, when you’re in the throes of a mid-afternoon energy slump, to reach for a biscuit or chocolate (or your seventh coffee of the day) to give you an energy boost. But not only do sugary snacks not give you a long lasting energy boost, they’re not that great for your health either. So prevent temptations by clearing your office of any sweet treats, and replacing them with healthier snacks, like nuts and fruit. Okay, much like the pet, this isn’t strictly an office essential. But we think it’s pretty important. After all, there are few things nicer than breaking out a brand new, beautifully designed to-do list pad. Beautiful stationery just begs to be used, and encourages you to be neater and more thoughtful, so could be considered a productivity tool. Or is that just us? Guest post by Gina Kay Daniel.